So here comes the most awaited ROM for Galaxy Nexus I9250 and that is CM-Remix Android 4.4.2 KitKat ROM. This is a combined effort of leading ROM developers as it is a mixture of top custom features that have been offered from AOKP, BEANSTALK, CrDroid, ChameOS, CM, MOKEE, OMNI, PA, SLIM, VANIR etc, while the custom kernel is based on Imoseyon with cherry-picks options from ASKP. As the name shows that “CM” stands for “CyanogenMod” and Remix shows the mixture of different ROMs like AOKP, BEANSTALK, CrDroid, ChameOS, CM, MOKEE, OMNI, PA, SLIM, VANIR etc, the mixture makes the ROM most demanding. 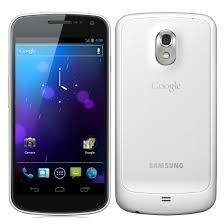 Lets move towards the guide of how to install CM-Remix Android 4.4.2 KitKat ROM for Galaxy Nexus I9250. Disclaimer: This guide will be using ‘Odin’ as a tool to flash the official firmware on your Galaxy Nexus I9250. During the process, you might lose all your existing installed apps and personal settings. It is therefore necessary for you to follow the guide carefully. Also, please, do mind that this tutorial is only to be followed to install CM-Remix ROM Android 4.4.2 KitKat for Galaxy Nexus I9250. Don’t try this guide on any other Android devices. Ensure that your Galaxy Nexus I9250 carries more than 70% of charge. Select install zip from sdcard, then select choose a zip from SD card that you copied earlier and select it by pressing the Power button. Confirm installation by selecting Yes. Install the said zip file on the next screen. The ROM installation will begin. Once the phone finishes installing the ROM, you need to redo step 4, but choose Gapps .zip file instead of ROM zip to install the Google apps package.